Regenerative Medicine Minnesota recently announced the 2017 Regenerative Medicine Minnesota Research Awards. This year's research grants were aimed at developing and retaining early stage investigators. After review by 15 international reviewers, the top-scoring grants have been awarded funding. Four Mayo Clinic investigators were selected to receive awards. 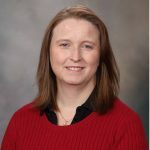 Dr. Devaux is an assistant professor of Biochemistry and Molecular Biology at Mayo Clinic. Her research grant proposes to validate the use of new technology to reprogram human blood cells into pluripotent cells, and studying their re-differentiation into functional insulin producing cells for the treatment of diabetes. 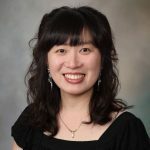 Dr. Jang is assistant professor of Neurosurgery and Biochemistry and Molecular Biology at Mayo Clinic. 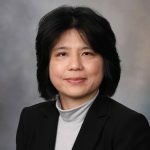 She is working to define a molecular target that promotes oligodendrocyte development, a major myelin producing cell in the central nervous system, in order to promote remyelination for functional recovery. This understanding will provide insight into novel therapeutic interventions effectively targeting a broad range of myelin-related disorders. Dr. Ruano is the division chair of Maternal and Fetal Medicine at Mayo Clinic. 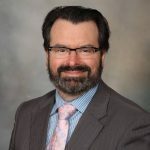 He aims to establish a Fetoscopic Regenerative Program in Minnesota, evaluate the feasibility and safety of prenatal tracheal occlusion to regenerate fetal lung growth, and participate in the multicenter randomized study (Phase II) to investigate the efficacy of FETO in regenerating fetal lung growth (randomized controlled trial) under FDA regulations. Dr. Yamada is an assistant professor of medicine at Mayo Clinic. Her study seeks to develop a regenerative therapy to correct disrupted wall motion (“cardiac dyssynchrony”) after a heart attack. Under conditions replicating patient management of this resilient disorder, the safety and efficacy of a new class of patient-derived stem cells delivered into diseased heart regions will be tested by a multidisciplinary team. Successful outcome will provide the foundation for first-in-human studies targeting heart muscle synchronization in refractory heart failure. Regenerative medicine focuses on the body’s natural ability to repair, replace, and regenerate damaged or aging tissues, and to restore functionality. Physicians and scientists are using native and bioengineered cells, assistive devices, and engineering platforms to develop new treatments with the potential to fully heal the underlying causes of diseases, rather than only manage disease symptoms. Regenerative Medicine Minnesota is a joint venture between the University of Minnesota and Mayo Clinic, and funded by the Minnesota Legislature, with the goal of distributing millions of dollars to advance regenerative medicine in the state through research, education, healthcare, and business. The program, which was funded during the 2014 legislative session for ten years, is in its third year of operation.